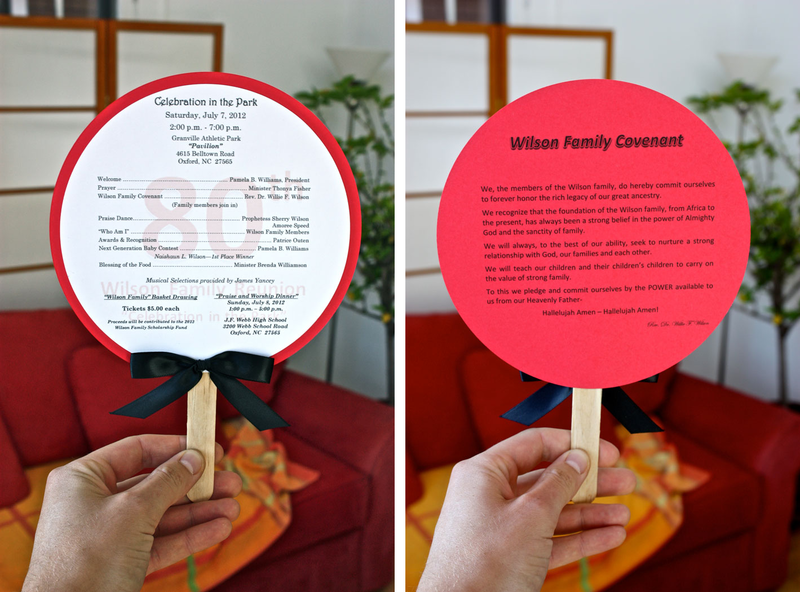 The Wilson Family Reunion prints its daily itinerary on a paper fan so family members can be aware of what’s going on while staying comfortable in the July heat. Thelma Harper Jones, heart and soul of the Banks Hill Outlaw Family Reunion (since day one), shared the program for their 30th anniversary reunion. You go, girl! The Gottung (Gruny Vetter Eck) Family Reunion in Wausau, Wisconsin, used this program. Thanks to Sandy Smith, West Des Moines, Iowa.